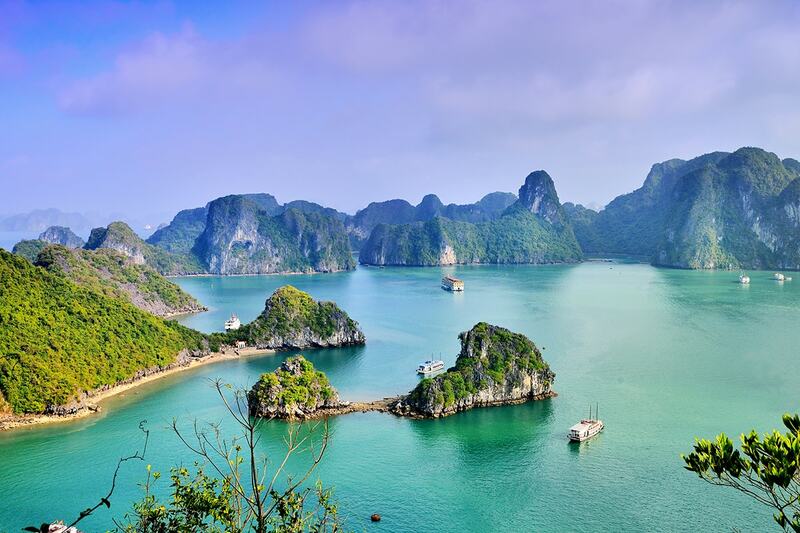 14 day Vietnam tour with Sapa including return international flights, accommodation, transfers, overnight Halong Bay cruise, breakfast daily, dedicated transportation, in-depth sightseeing and more. 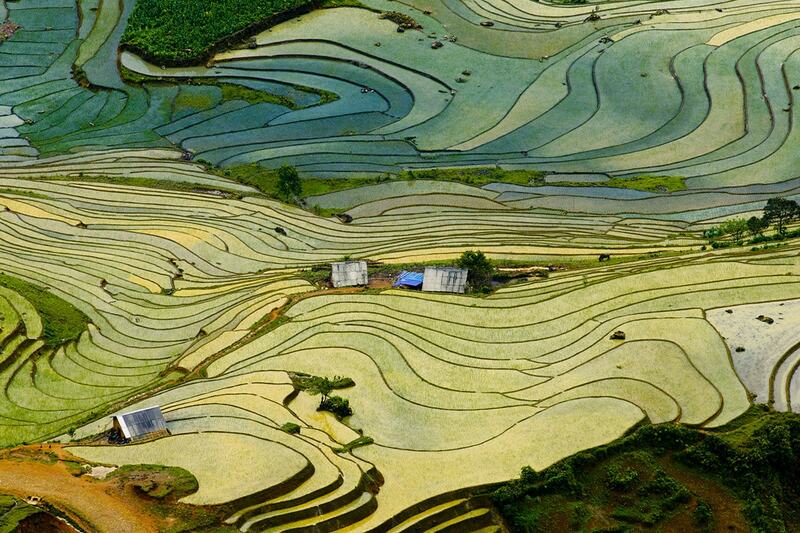 Vietnam is a must-see travel destination for much more than just its magnificent natural landscapes. There’s the warm hospitality from the locals, the deliciously good traditional cuisine, the ancient temples and monuments and the incredible history that makes this country an explorer’s dream. 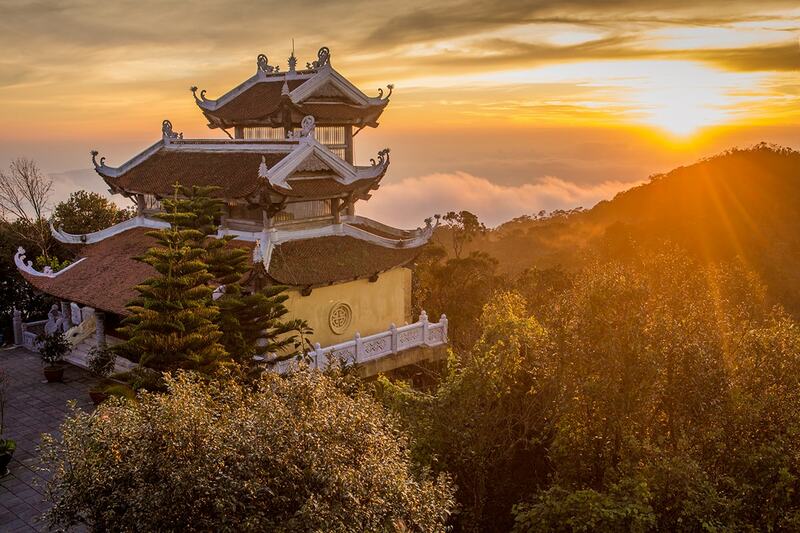 Experience it for yourself with a 14 day Vietnam tour with Sapa. Sapa is known for its epic scenery and it’s not hard to see why, with its rolling hills and plunging valleys, there’s few places that offer views this good. Start your journey exploring buzzing Hanoi, tour the beauty and charm of Sapa as you trek its mountainous terrain, enjoy a cruise of sparkling Halong Bay, enjoy a walking today of Hoi An’s best sights and so much more. Your package includes return international flights, accommodation, professional guides, in-depth sightseeing, dedicated transportation, meals and more. 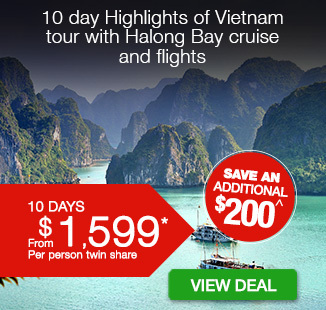 Today, depart Australia for Hanoi, Vietnam! Upon arrival to the airport you will be met and transferred to your hotel for check-in. 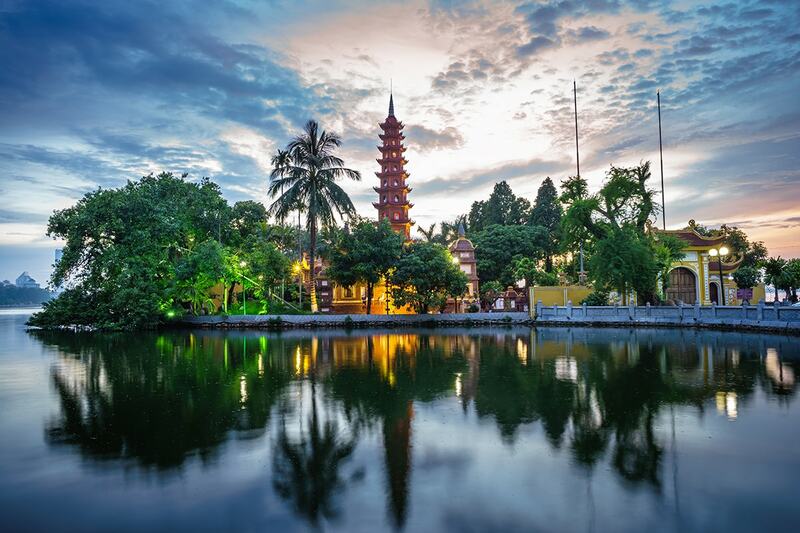 This morning, we take a city tour of Hanoi and will explore attractions such as the Temple of Literature, Vietnam’s first university, Ho Chi Minh Complex (Ho Chi Minh Mausoleum, One Pillar Pagoda) and Tran Quoc Pagoda, one of the oldest pagodas in Vietnam. The rest of the day is at leisure. Why not explore the Old Quarter for shopping, bars and restaurants. You have free time until your transfer to the train station for your overnight journey to Lao Cai Province. You will be accommodated in a twin share sleeper cabin. Arrive at Lao Cai railway station in the early morning, then drive straight to your hotel for breakfast. The drive will take approximately one hour. Today we explore the beauty of Sapa, an incredibly charming place on the Hoang Lien Son mountain range near the Chinese border in northwestern Vietnam. 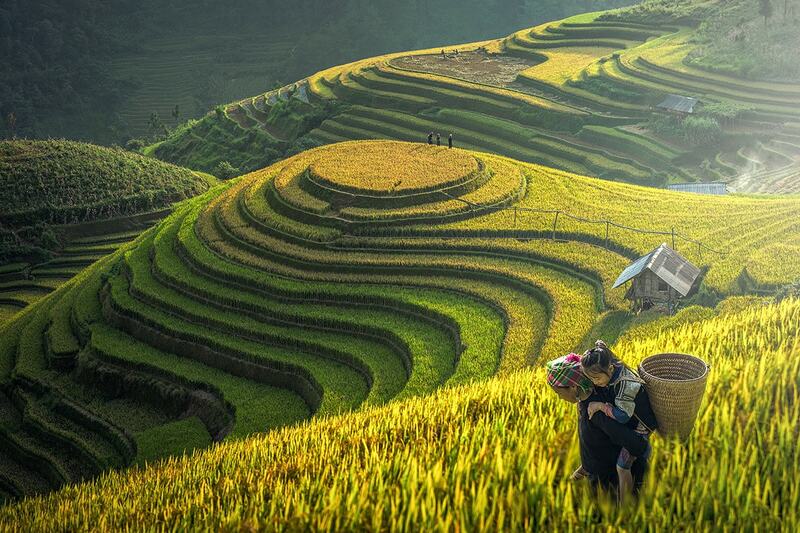 Trek through the villages and vibrant green rice fields to discover Lao Chai village, Muong Hoa Valley and the surrounding mountains and rice terrace fields. Next visit the Black H’mong village in Lao Chai, trek further to Ta Van village all while witnessing the simple way of life of the local village people. Return to Sapa town by car in the afternoon. Today requires comfortable walking shoes – while the trek is easy it will take approximately 3 hours. Today we continue exploring Sapa’s local life on foot. The trekking to Suoi Ho village and Ta Phin village will take approx. 3 hours. Come prepared with your camera and money for local crafts along the way. In the afternoon you will return to Hanoi by road (approx. 6 hour drive). On arrival, check-in your hotel and enjoy the night at your leisure (approximate arrival is 9 pm). Today you will travel by coach through the rich farm land of the Red River Delta to arrive at Halong Bay. Designated a World Heritage site in 1994, Halong Bay’s spectacular scatter of islands, dotted with wind- and wave-eroded grottoes, is a vision of ethereal beauty. 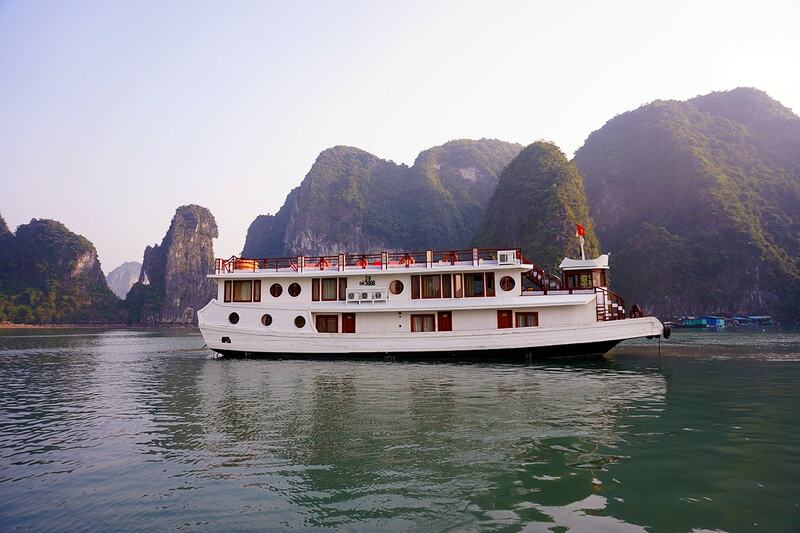 Upon arrival, you will board you ship to visit the thousands of limestone islands filled with caves of all shapes and sizes. The sails of junks and sampans gliding along the clear and emerald waters of the bay form a magnificent scene that blends into the sky. You will also have the opportunity to visit some of the hidden grottoes beneath the towering cliffs. Awake early and participate in Tai Chi on the top deck or simply relax and enjoy the sunrise over the bay’s towering islands, a sight not to be missed! Enjoy a morning cup of coffee or tea, before setting out to explore nearby islands by rowboat. Return to the junk for breakfast then take advantage of the sundeck and admire the amazing rock formations of Halong Bay. Enjoy a light lunch before heading back to shore. Your driver will then meet you at the Halong jetty for your drive back to Hanoi. Optional Tour: Halong Seaplane – A unique vantage point to appreciate the vastness, the beauty and all limestone formations of World Nature Wonder – Halong Bay from the air in 25 minutes. Witness with your own eyes the panorama of the famous film “Indochine”. 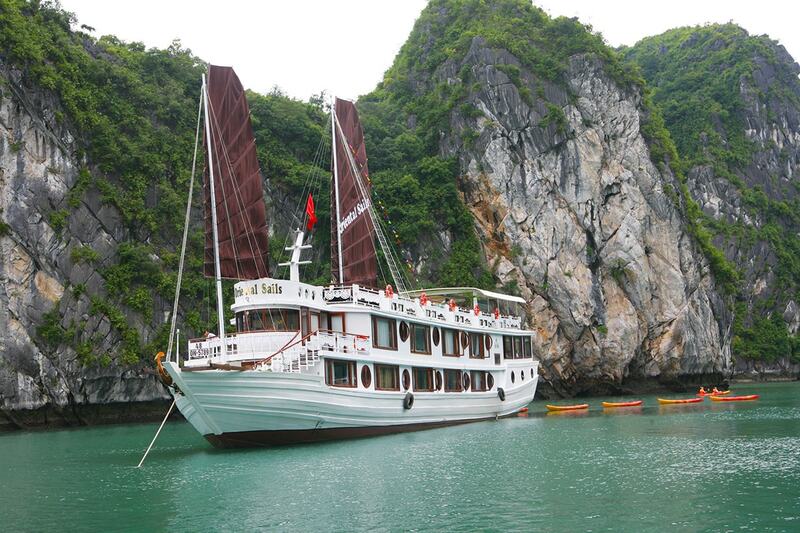 This is the perfect combination with a wooden junk cruise through the bay before returning to Hanoi. After having an early morning breakfast on the sundeck and discovering various rock formations, you will disembark and get on the seaplane to see a uniquely different point of view of this destination. Optional tour: Hanoi Street food (Dinner included) – Enjoy a walk around the Old Quarter in the afternoon and appreciate the local lifestyles as you wind through Hanoi’s streets. You will have a taste of Northern Vietnamese delicacies such as: stuffed pancake, banh my, stuffed sticky rice balls, the unique egg coffee and many more. 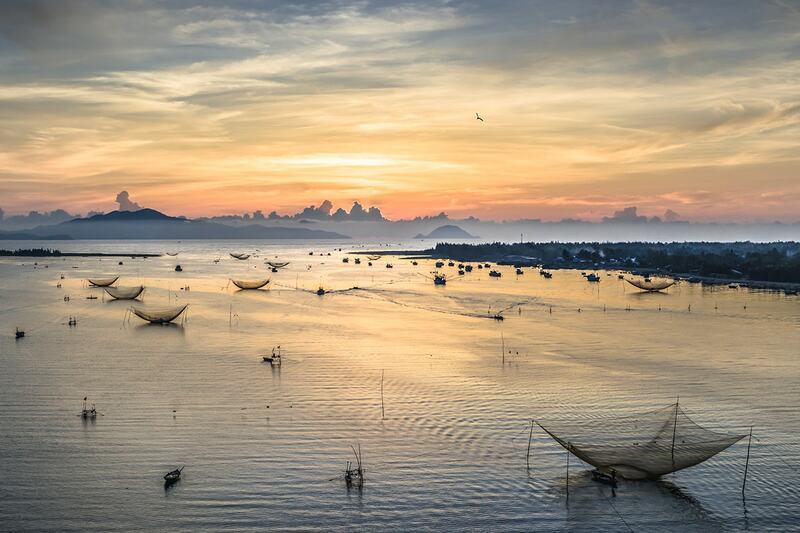 Today you will take a morning flight to Danang and then transfer to Hoi An. On arrival at the hotel, the remainder of the day is at leisure to explore this charming historic town, a UNESCO World Heritage listed town. 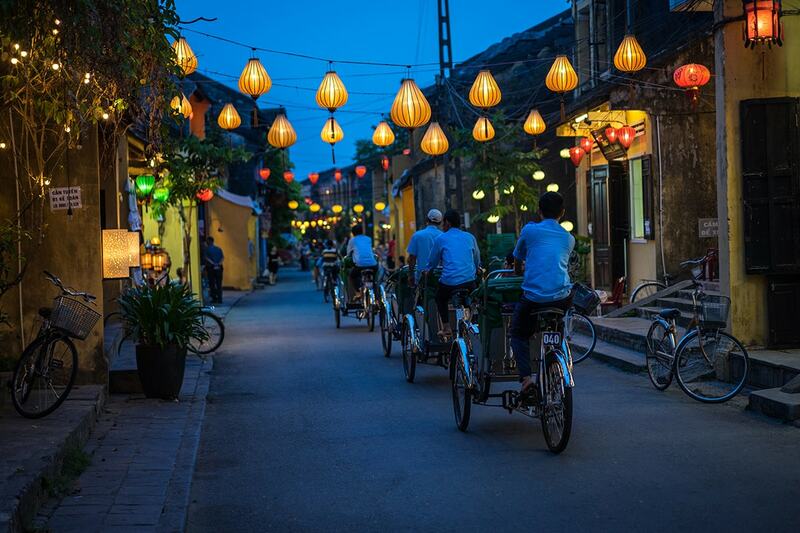 As an important trading route during the 15th to 19th centuries, Hoi An is now a unique blend of culture, cuisine and architecture. Step back in time as you wander the narrow streets of this charming former trading port, with its ancient covered bridges and temples. Today you will explore Hoi An on foot, visiting an old merchant’s home, Hoi An Market, a local Chinese temple and the Japanese Covered Bridge. The bridge was first constructed here in the 1590s by the Japanese community to link them with the Chinese quarters. Over the centuries, the ornamentation has remained relatively faithful to the original Japanese design. The French flattened out the roadway for cars, but the original arched shape was restored in 1986. Enjoy the afternoon at your leisure to wander through the town or relax at one of the many cafés along the picturesque Thu Bon River. Free day at leisure – continue exploring the Ancient Quarter or head to the beach/swimming pool for relaxing. This morning is free at leisure before your transfer for your flight to Ho Chi Minh City. On arrival you will be met and transferred to your hotel. The remainder of the day is at leisure. Optional Evening Activity: Saigon Dinner Cruise. In the evening, enjoy an authentic Vietnamese dinner on board a Saigon River Cruise. The Saigon River flows from Cambodia through Southern Vietnam before merging into the South China Sea. Dinner on a river cruise offers the opportunity to witness another side of Saigon. Optional Tour: Travel to Ben Tre to discover the unique lifestyle of inhabitants living along the Mekong Delta. Board your cruise on Ben Tre River (one of the tributaries of Mekong River) before stopping at brickworks to see how bricks are made in traditional style by printing and baking. 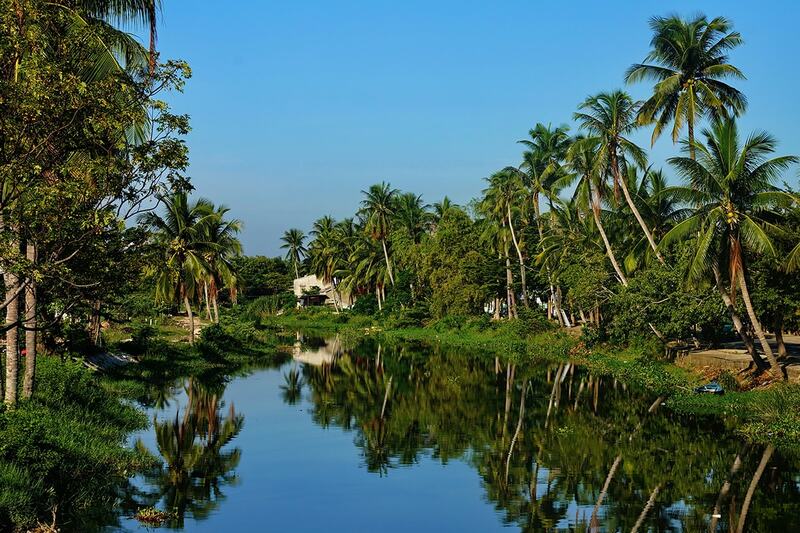 Next, visit a coconut processing workshop located along the canal. Turn on natural scissors creeks where they look smaller and smaller which will lead to a local village. Walk to a family workshop to observe sleep mats being made while enjoying some fruits and tea. Then you’ll take a motor cart or cycle under shady trees, pass by green rice fields and vegetable plains all while getting a feel for the life and tropical culture from Peasants. Lunch is served at a riverside restaurant. In the afternoon, you’ll take a row-boat along water palm creek and then boat back to Hung Vuong Pier, where your transport is waiting back to Ho Chi Minh City. Lunch will be included on your Mekong Delta tour. In the afternoon, we continue on to Cu Chi Tunnels. During the Vietnam War, guerrilla fighters built a labyrinth of narrow tunnels, using them to hide in during bombing raids and to stage surprise attacks. Today, the remaining tunnels have become a major tourist attraction, giving visitors a unique understanding of what life was like during the Vietnam War. 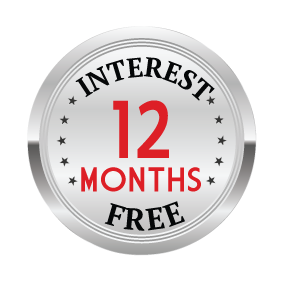 A deposit of $859/$1,159/$1,359 per person are due at the time of purchase in order to secure your date. 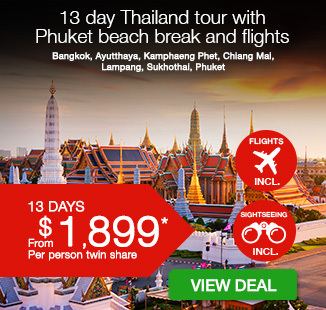 $580 per person in addition to the twin share voucher. * Departures in March, April, October and November incur a peak season surcharge of $200 per person. ** Departure in January and December a surcharge of $800 per person is applied. Arriving early/Extending your trip: $200 per person (subject to availability and applicable fare difference). If you wish to alter or extend your trip, please purchase your voucher first and submit a request on your booking form. We will then provide quotations for any alternations or extensions. Should you wish to proceed any additional charges will be collected. This fee does not include accommodation.